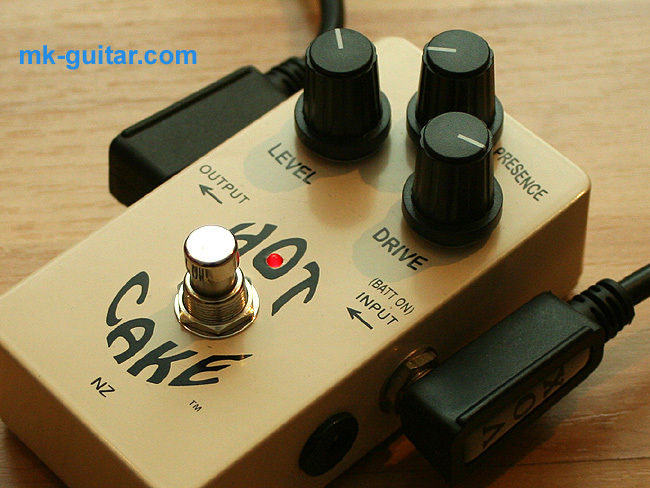 From now on you can buy the Hotcake overdrive pedal in our online shop. This is the overdrive pedal that Mark Knopfler used on his 2005 Shangri-La tour, and probably on other occasions as well. The Hotcake is built by Paul Crowther in New Zealand since 1976. 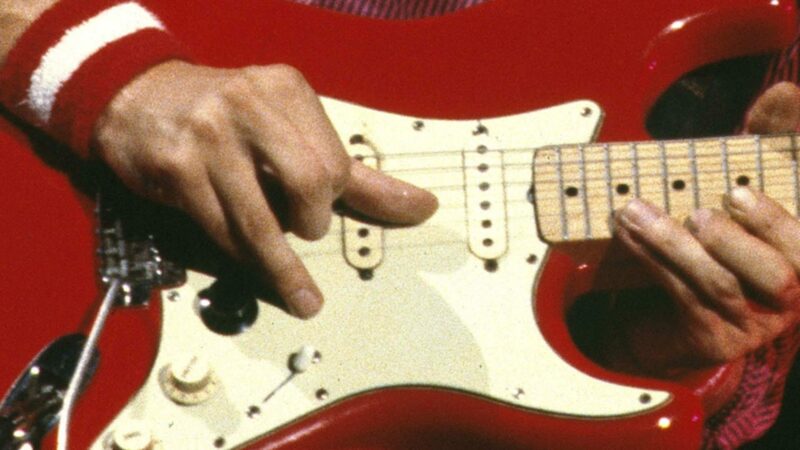 It has a best reputation among players around the world – Stevie Ray Vaughn also played one. 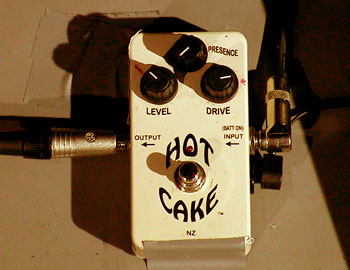 For us Mark Knopfler fans it is obvious that it can only be good – why else should Mark, who can surely afford any pedal in the world, have chosen the Hotcake? In very short, it IS good because (a) it sounds good and (b) it is a high-quality product, made of best component. It is reliable, has a low noise floor, and is very stable. What I really like about it is that it does not alter your clean sound, unlike other overdrive units that even with minimum (or no) distortion totally change your tone. With the drive control down, the Hotcake is totally clean, and your sound is identical to what it is without. For this reason it is also ideal to boost your guitar signal to get more drive from a tube amp. 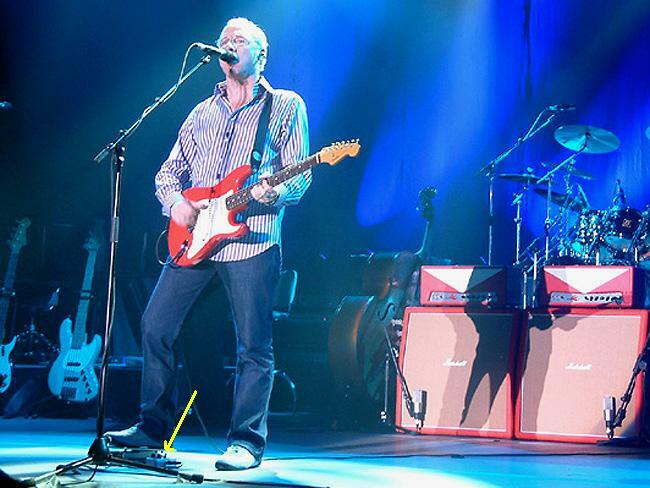 When you turn up the drive control you get any desired amount of distortion, starting with a subtle crunch, over a creamy overdrive (picture 4 shows Knopfler’s setting for the song Boom like that), to a fat and thick distortion. In fact even with a single coil guitar and the drive at maximum you get much more distortion than with typical tube screamers. The sound is really as you hear e.g. on the 2005 tour, just listen to the crunch of Mark’s Silvertone guitar on Boom like that. I will try to make some sound clips or a demo video soon. Keep up your wonderful blog, I’m addicted. Presence basically means a tone control, typically something between mids and treble. I didn’t know if an overdrive pedal would work well with the mid-boost in my strat so I tried out a “real tube” overdrive pedal that my guitar teacher has and I loved the sound that it gave. It was real bluesy so how would this pedal compare to the real tube? This is the one that he uses to create that sound in Sultans of Swing live of Shangri-la tour? I didn’t understand, he closes the tone to get that smooth sound?